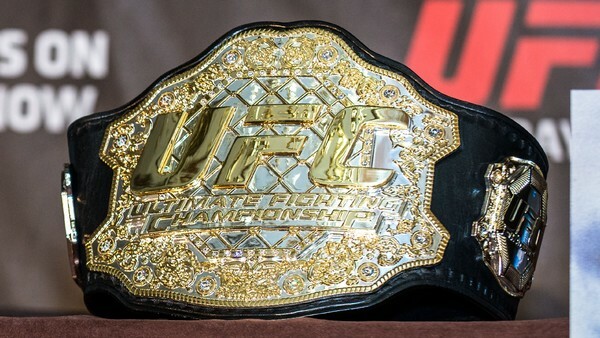 Winning a UFC World Championship is the greatest accomplishment a professional mixed martial artist can hope to achieve. However, only a select few men and women will ever know what it's like to have Dana White wrap the gold around their waist. For fans of the sport, watching a title change hands is as exciting as it gets and there was plenty of excitement to go around in 2018. This past year marked the end of longtime flyweight king Demetrious Johnson's historic title reign. His loss to Henry Cejudo was among the biggest upsets in recent memory. Perhaps the most shocking moment of the previous year was when Cris Cyborg's reign of terror finally came to an end last December. Seeing Cyborg knocked out by Amanda Nunes, in under a minute, left the entire MMA world with their jaws on the floor. While 2018 offered some surprising title changes, it wasn't all about upsets. The year saw champions like Max Holloway and Robert Whittaker solidify their status as the top dogs in their respective divisions. Now that 2018 is but a memory, fight fans are gearing up for what looks to be an exciting year ahead. MMA is predictably unpredictable, which makes it one of the most exciting sports in the world. That being said, even in a sport where anything can happen, there are 6 current title holders whose destinies seem to be set in stone.